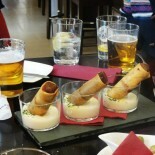 As so many of you who have taken our Gourmet Tapas Tours in Málaga will know, we love seriously good food. 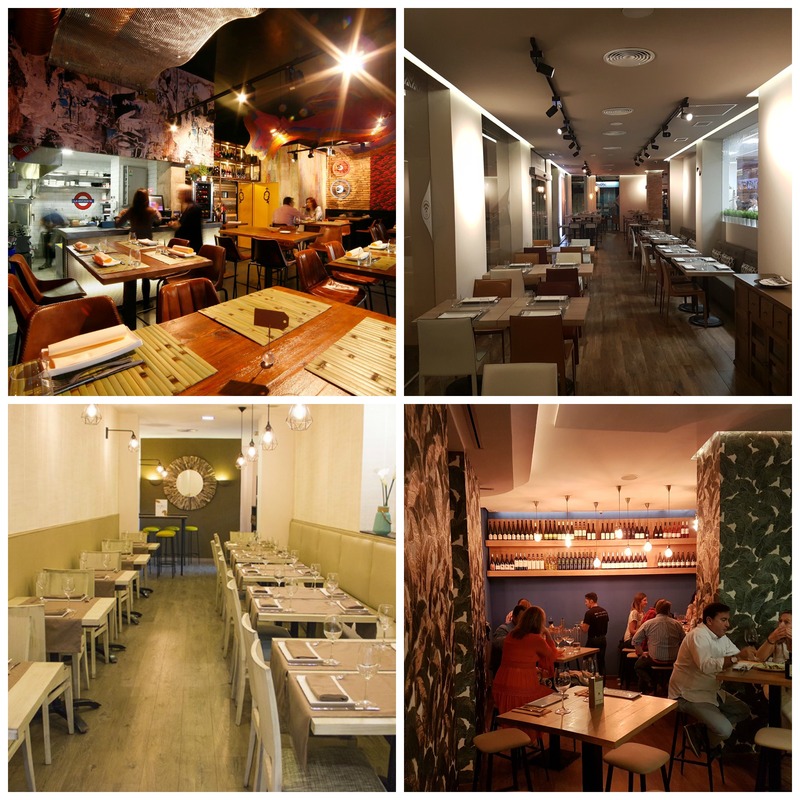 The last 5 months have seen the opening of 4 great restaurants in the city centre and we have had several visits to all of them. None have disappointed! They are restaurants rather than “tapas bars”, but remember that eating in Spain is all about sharing plates of food, and therefore you get to “taste” even more of the creative dishes on offer. Here they are below, listed in alphabetical order with addresses and telephone numbers at the bottom of each one. We would advise making reservations especially for Fridays, Saturdays and Sundays. They all offer really good value for money too, in our opinion. Expect to pay between 30 and 40€ per person including wines (except in La Antxoeta which is more highly priced – we recently paid 178€ for 4 including 2 bottles of wine). 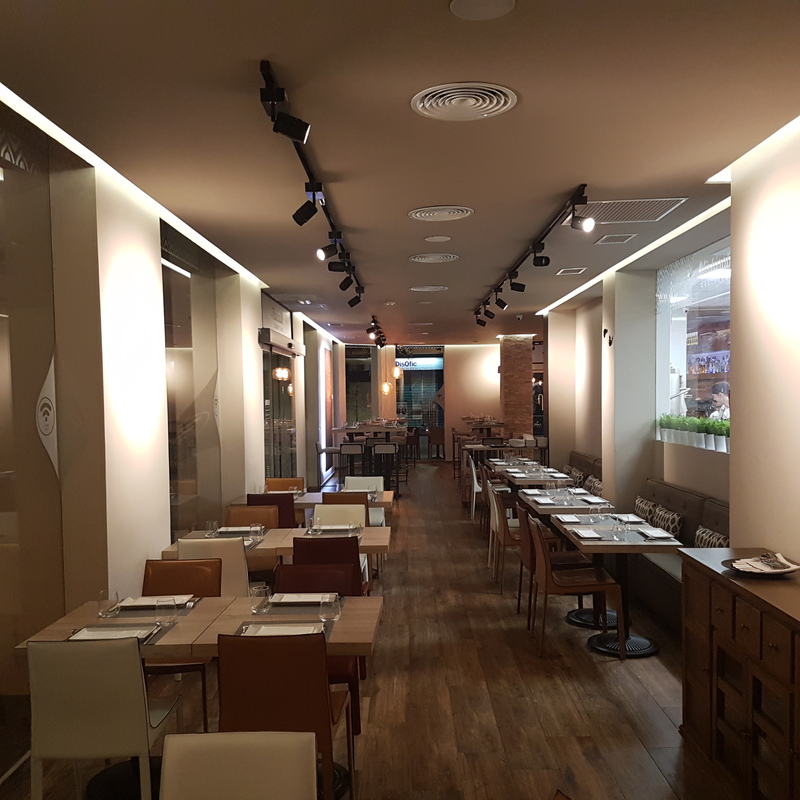 We are not going to “review” the restaurants here – will leave that to the “food critics” but suffice to say, we love them all and think they are excellent additions to the ever up-and-coming “food scene” in Málaga city. Chef José Antonio Moyano has been known to us for a few years and it is wonderful to see him realise his dream (along with restaurant manager Rocio Torres) of opening his own restaurant. Alexso is small and minimalist, as José prefers to keep the emphasis on seriously good food and imaginative presentation – something that he succeeds at tremendously, and the delicious assortment of imaginative, homemade breads that are brought warm to the table are a real bonus. Located just a stone’s throw from the Cervantes Theatre, this is a wonderful option for post-theatre dinners, or simply for a great meal on the town (always with advance booking, of course). Good to see Catalan Chef Pablo Caballero embark on his own new venture, too. Pablo has also been in Málaga for several years, following his studies in the Basque Country. 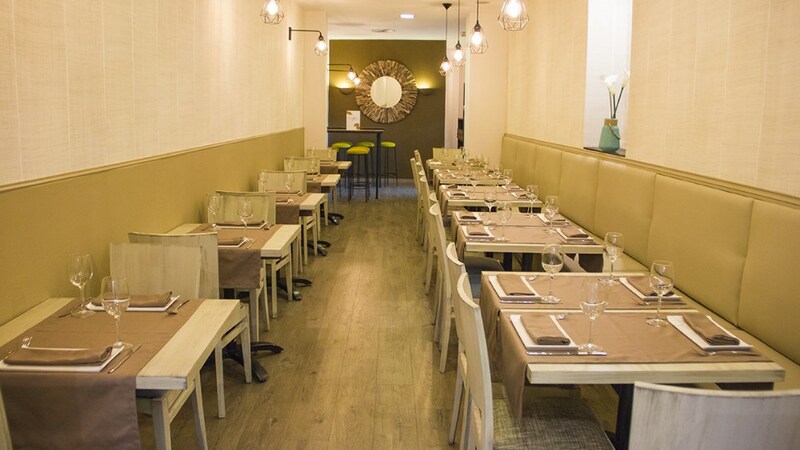 His new restaurant is in the Soho area of the city, just 5 minutes (walking) from the port and the famous Calle Larios. A funky design by a local Soho interior design company Interni Estreni 2 with glowing warm colours make is a very welcoming place. Absolutely love the monkey holding the lamp in the loo. Tables are “high” tables with tall stools for seating. Small and intimate with some interesting food – choose your dishes wisely. Malagueño Antonio Fernández trained at La Cónsula (the Hotel and Catering school in Málaga) and some of you may know him from his former restaurant Dom Vinos in the Calle Victoria area. Great to see him come into the historical centre (wise move we suspect) and open his own restaurant. 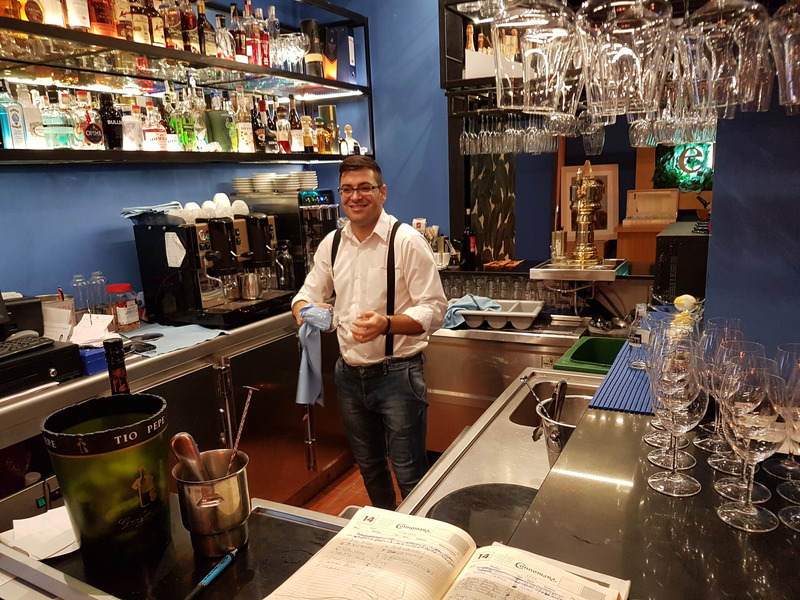 With Antonio front of house as Manager, Cristian Soler in the kitchen and Rafael González as Maitre, they have a winning team, and a winning location up a little alley off Calle Cister just a minute’s walk from the Cathedral. 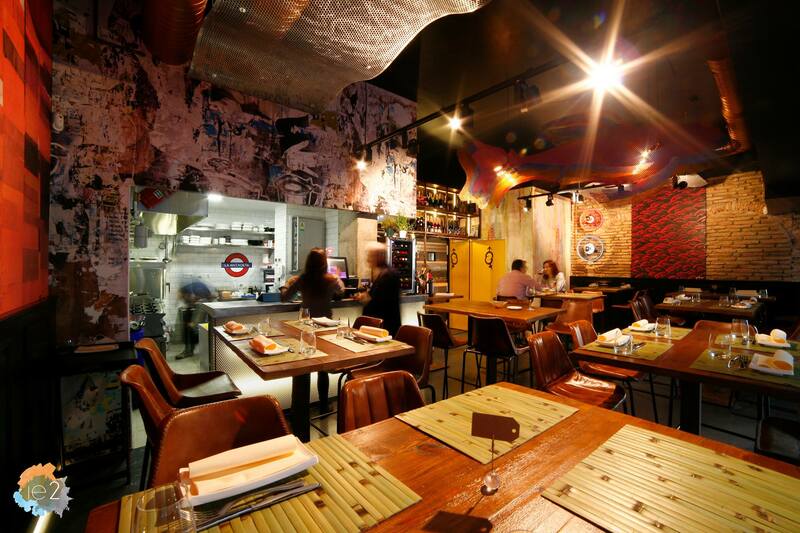 The atmosphere indoors is wonderful, and there is also an outdoor terrace with high tapas-type tables and tall stools. An impressive collection of wines and sherries too – Antonio and Rafa will always offer advice on “pairing” different wines/sherries to accompany your dishes. Open 12.00 noon until 12.00 midnight. 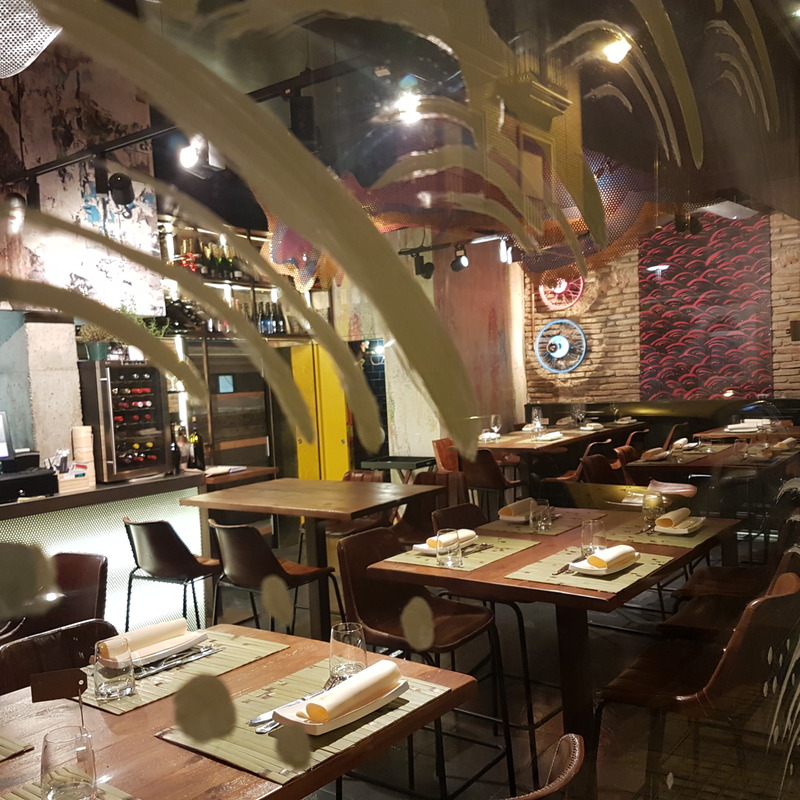 Expect to be surprised here as this is a fusion bar where you will find an interesting mix of Spanish/Asian/Brazilian food provided by the delightful owners Ana and Andrés. Most dishes come with a “twist”. Great bread too (including “gluten free”), and if you have space after sampling several dishes there are some very wicked desserts that will be presented by your waiter on a tray in kilner jars. 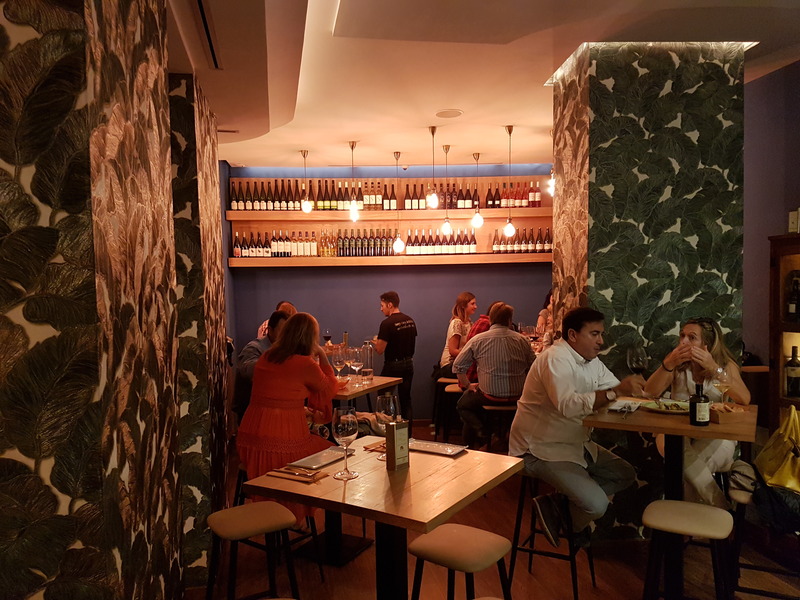 This entry was posted on November 21, 2016 by Tapas in Malaga in Citybreak Destination, Málaga, Málaga Recipes, Retaurants in Malaga, Sherry, Tapas, Uncategorized and tagged Alexso Cocinando Sensaciones, Andalucia, Art Galleries Málaga, Best restaurants in Málaga, Eboka Casa de Vinos y Comida, Fine Dining Malaga, Foodie Weekends in Malaga, Gourmet Dining in Malaga, Gourmet Restaurants Andalucia, Gourmet Spain, La Antxoeta, Mixtúrate Gastobar, Spain, Tapas.